Woodbury Lutheran Church is a contemporary church with 3 campuses in Minnesota. Although visually their website looks modern and professional, they needed an SEO overhaul on their website to improve their existing search engine rankings and traffic. The goal was not only to improve their online SEO and website speed, but to provide them with a blogging strategy that would enable them to rank for local and national keywords on a variety of topics. 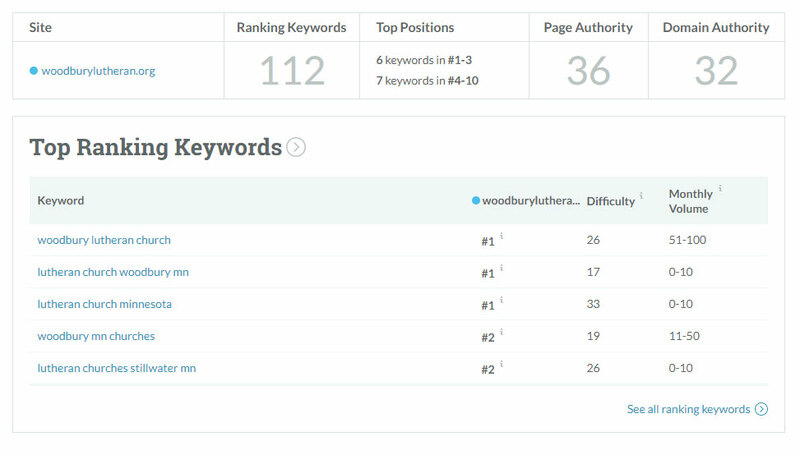 After an extensive SEO audit including keyword research and on-site content analysis, Missional Marketing quickly assessed the source of Woodbury Lutheran’s online problems. 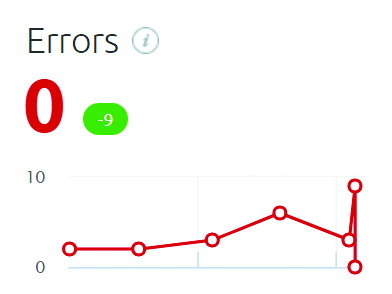 The SEO audit revealed that their website had over 697 errors which included duplicate content, broken links and no image alt tags. The website also was slow and had bottlenecks that affected the end-user experience. Because of slow performance, their website was penalized by the search engines. We fixed their on-page SEO issues, by adding alt tags to images, adding H1 tags and implementing effective meta tags. We also fixed any duplicate content issues, no-indexed unnecessary pages, added SSL and sped up load time by 5 seconds. 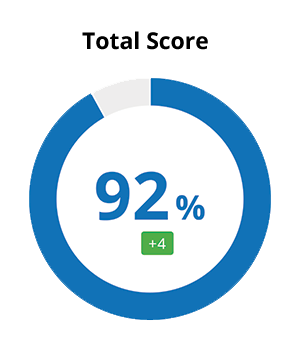 After we completed our work, the health score of Woodbury Lutheran’s website increased to 92%. These on-site optimization efforts not only makes their website more search engine friendly but helped to increase their domain authority and relevance. We were also able to increase the volume of targeted keywords within the top 15 rankings in Google. This has increased their Google traffic by 21%. 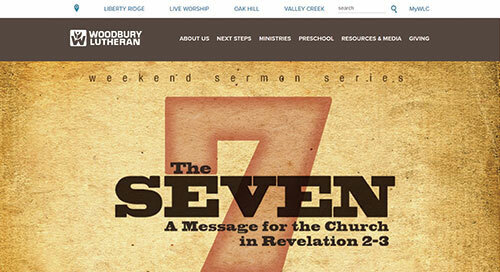 We were able to significantly improve Woodbury Lutheran’s website SEO presence. By fixing the most crucial SEO errors and adding important meta tags, the website’s domain authority, links, and traffic all increased. As Woodbury Lutheran continues to implement the online blogging strategy, they will continue to see upward mobility with traffic to their website and visitors to their church.